Your wife works hard for the family all year long, putting everyone else before herself, and the holidays are the best time to show your appreciation. With thoughtful items that she’d never indulge on for herself, or fun little gifts to make her daily life just a bit easier, she will be sure to appreciate her stocking stuffed with everything found on our list. Here are our 14 best stocking stuffers for your wife. Looking for something unique and beautiful for mom? Mom will love Lemonbug jewelry. Each piece is handmade and is one of a kind. For the mom that loves to layer her jewelry, the La Jolla Layered Set is a simple yet elegant design. It includes a choker, a tiny bar necklace, and a coin. There are a variety of personalized options for the necklace such as the metal, necklace set length, coin customization, and bar customization. Mom will love the beautiful and truly personalized design. It is a gift that will immediately become part of her every day wardrobe that she can cherish for years to come. Sometimes less is more. For the minimalist mama, checkout the Tiny Mama Necklace. Once again, Lemonbug offers a variety of custom options to create a unique piece for the unique mom in your life. Choose your metal, length, font, as well as add ons such as crystal, another tiny bar at the clasp, or an extender. This stylish necklace will add a bit of glitz and love to mom’s everyday outfit. Plus, mom will have the option to wear it alone for a minimalist look or wear layered. 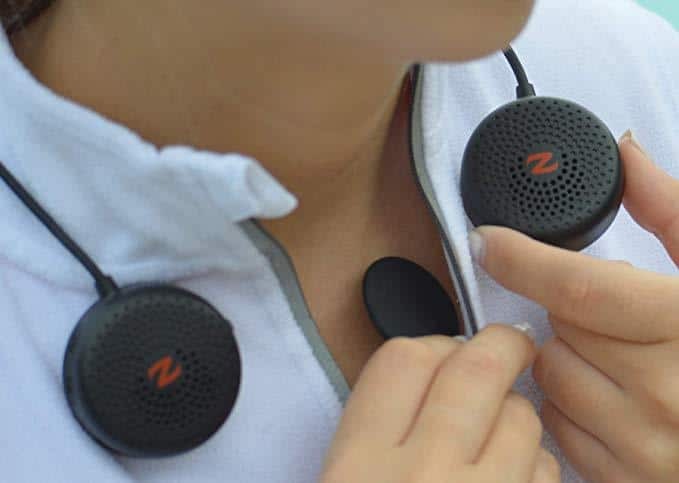 If there is someone on your gift list that loves listening to music wherever they are but hates the idea of headphones, then Zulu Wearable Speakers might be for them. This headset connects with your phone via Bluetooth technology but unlike traditional headphones the buds don’t go in your ears. 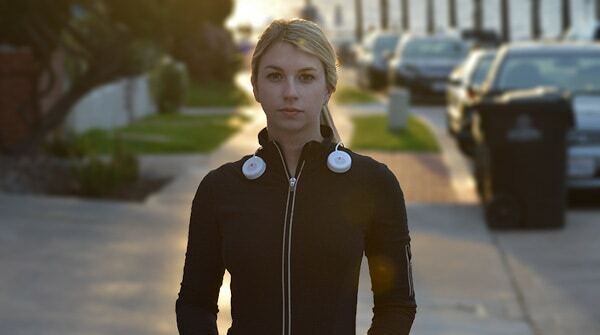 Instead, the speakers attach to your clothing using strong magnets. The Zulu Wearable Speakers come in two colors: black and white. The Bluetooth range is up to 20 feet so you don’t even have to have your phone right next to you when in use. The high quality speakers give you amazing sound quality all while taking those annoying ear buds out of the equation. They are also water-resistant and offer wireless calling so you can take calls on the go. 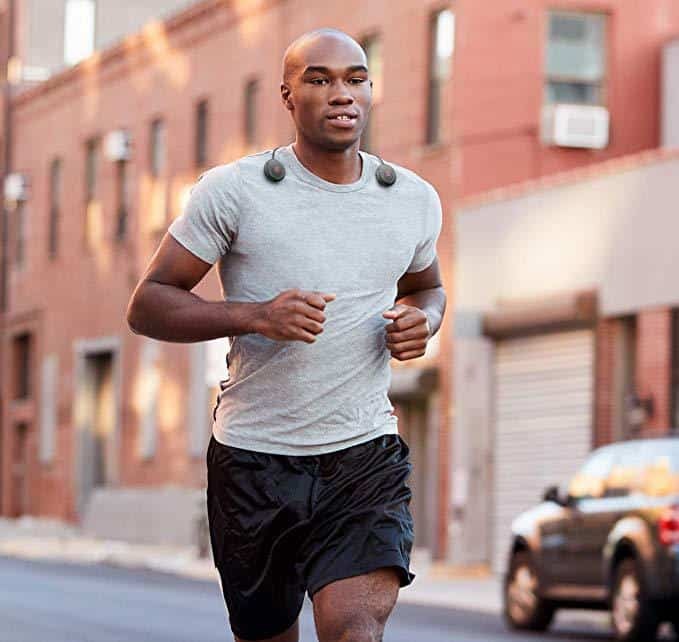 Zulu Wearable Speakers are the perfect gift for runners or cyclists who want to stay safe by not wearing distracting ear buds but still want music, or for those who don’t like earring traditional ear buds. For the beauty lover that is dying for longer eyelashes, Replenix Prolash Eyelash Enhancing Serum is the gift you will want to give. 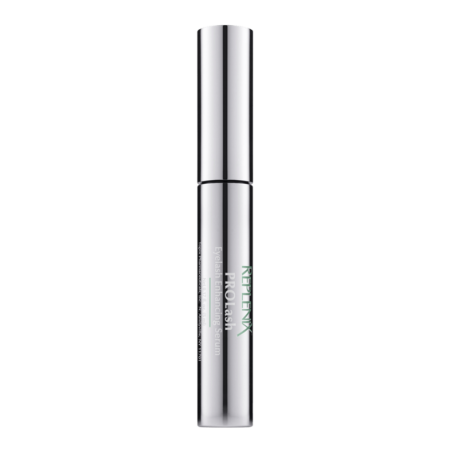 This cosmetic serum is clinically proven to help promote the natural growth of eyelashes. The WideLash Technology is responsible for making thin eyelashes fuller and stronger and is perfectly safe for use around the eyes. Many women find themselves dishing out a good amount of money on false eyelashes and even semi-permanent procedures to enhance the look of their eyelashes. With Replenix Prolash, you can save time and money by allowing your real eyelashes to become thicker without artificially modifying them. By applying a think line of the serum to the upper lash line twice a day, you will see results in just 30 days. If you’re looking to give your wife, daughter, girlfriend (or any other lady in your life) something stylish, simple and on trend this season, look no further than a simple gold choker from Nashelle. We particularly love this Mini Cross Necklace, as it’s a modern twist on a classic necklace; and one that will surely be a hit on Christmas morning. Measuring 16″ long, and available in gold, rose gold or silver, it’s the perfect accessory to go with any outfit. 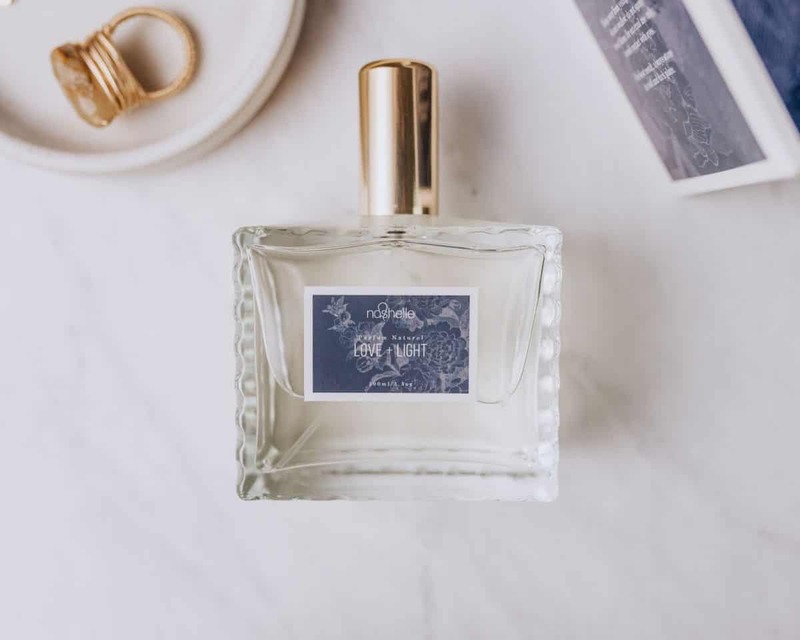 Another classic gift that any lady would love is a new bottle of perfume. 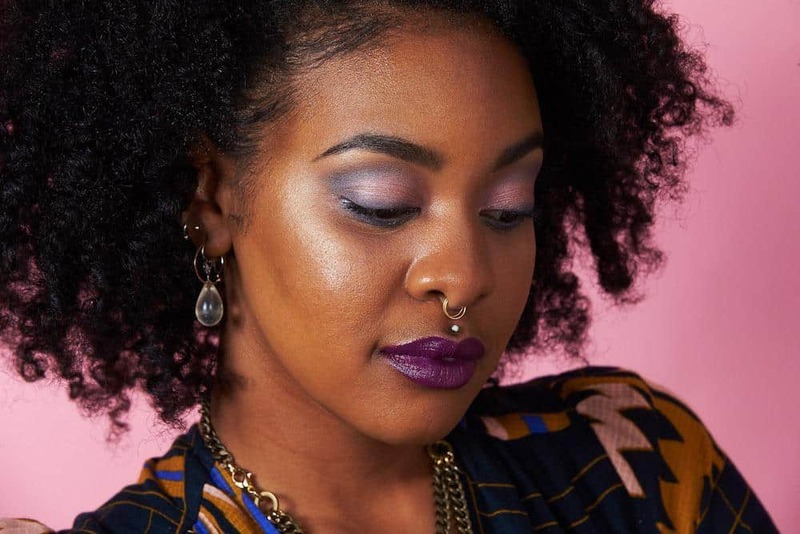 This season we suggest Love + Light by Nashelle. Just a dab of this coconut and floral scented spray and she’ll feel like a new woman! 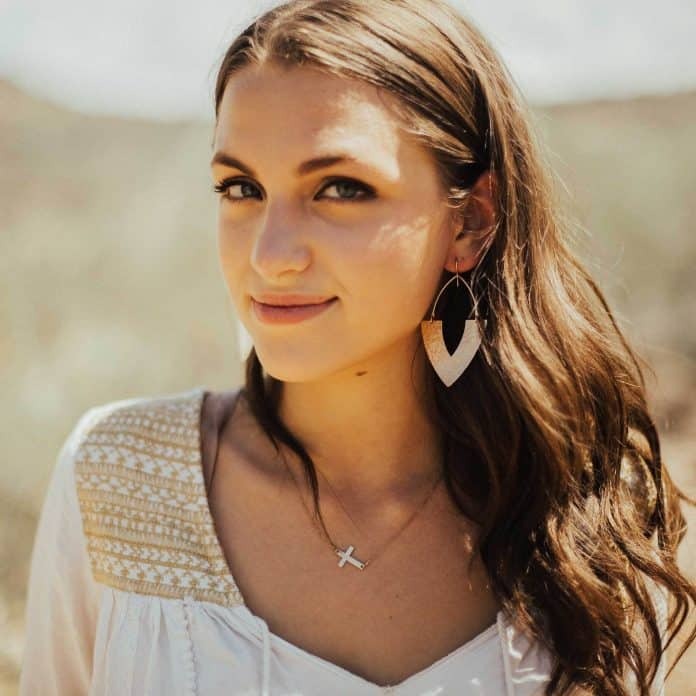 Nashelle Jewelry donates one plate of food to local and national charities for each item sold. You are helping them reach their goal of filling 1 million plates for those in need by purchasing beautiful jewelry and perfume for your loved ones this gift giving season. A different and new way of advancing skincare, Airelle has the medically researched and naturally sourced products for the beauty-loving person in your life. After all, no one asks Santa for more fine lines and wrinkles! Airelle just may become the best stocking stuffer for her this Christmas and here’s why. 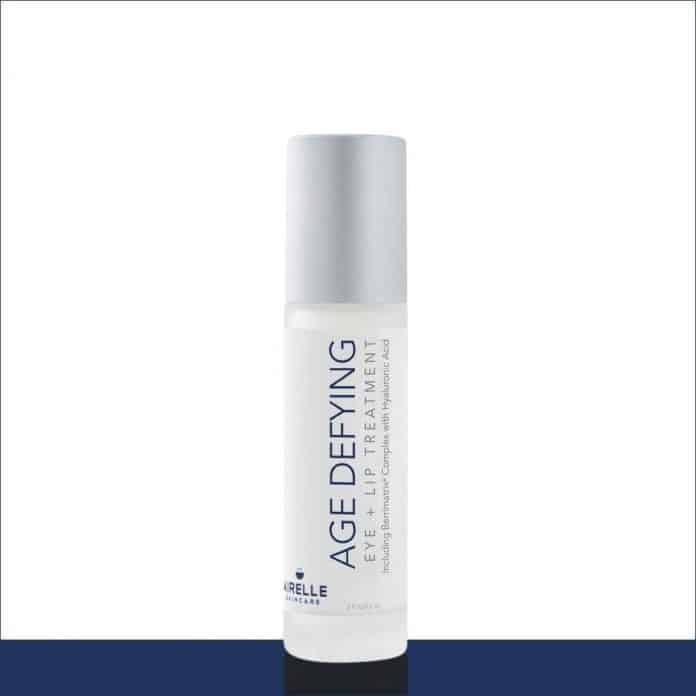 A 2-in-1 miracle product, Age Defying Eye + Lip Treatment addresses the appearance of fine lines and wrinkles around both your eyes and lips. As wisdom and a bit of daily stresses settle into our lives, it doesn’t mean your loved one has to live with the visible crow’s feet, dark eye circles, upper lip wrinkles, and all of life’s laughter (aka smile lines). Slip in this stocking stuffer for her on Christmas morning and 28 days later, she’ll be thanking you once again! 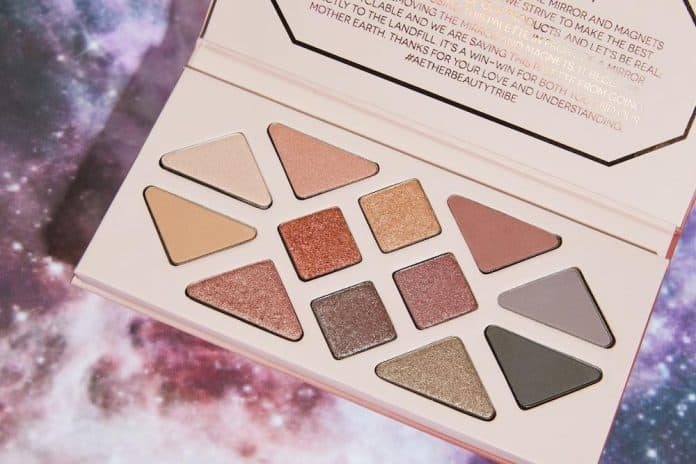 If you are looking for a well-thought out and luxury stocking stuffer for the beauty buff in your life, this Rose Gold Gemstone Makeup Palette is the perfect gift. Rose gold is a trending color in fashion and beauty, and these colors are perfect for upcoming New Year’s celebrations and to start the year off right. The Rose Gold Gemstone Makeup Palatte has 12 shades, perfect for going from day to nighttime looks. It is made with organic coconut oil and organic shea butter making it super smooth to swipe on. The organic rose hip oil provides a gorgeous natural glow while the rose quartz powder reduces fine lines, wrinkles, and redness for an overall beautiful look. The entire packaging is 100% recyclable and is completely zero-waste, which is the first in its industry. Get your loved one’s next favorite makeup palette with Aether Beauty. Looking for the perfect stocking stuffer for your wife? While tempting to get her another cheap facial scrub, don’t. Instead, get her some stylish hair ties from Kobo Ties. Kobo ties are hair ties that keep hair secure without snagging strands or leaving stubborn creases. They are stylish, sturdy and metal free. The thickness of the band pumps up your pony giving you waterfall volume. Unlike other hair ties, Kobo Ties won’t break, stretch out or lose their shape after each use. They simply hold your hair tightly in place. Kobo Ties are perfect for your hair, but also look great on your wrist. You can wear them alone or stacked like bracelets. 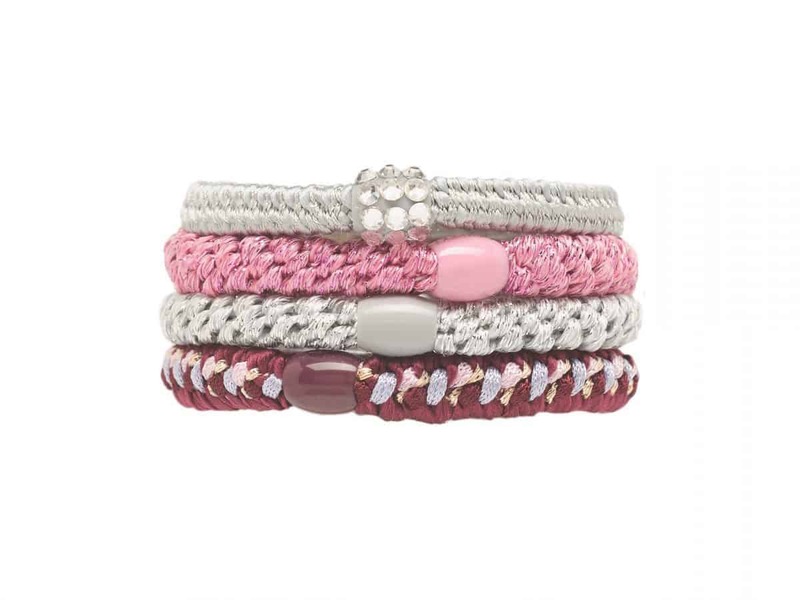 Available in an assortment of great solid and metallic colors, braided, or accented with charms, we suggest getting a variety and sharing them with all the ladies in your life. Get your house smelling amazing this holiday season with Scentsicles. Many families no longer get live trees for their homes on Christmas and while it’s better for the environment and cleaner for our homes, we all miss the classic Christmas smells like pine trees, berries, and wreaths. Scentsicles solves that problem by giving you scented ornaments you can hang right on your tree. Now you can bring the smell of Christmas inside with scents like “O Christmas Tree,” “Smells Like Christmas,” and “Fir Tree.” Bring the Christmas cheer back in your home with the smells that make the holidays magical without burning candles with Scentsicles. Sometimes the most obvious gifts are right in front of your nose, or on your lips as would be the case in this top pick. Moroccan Magic is not only poised to be on everyone’s lips this winter, it’s the only woman & minority owned, cruelty free and USDA organic small brand lip balm on store shelves. This USDA certified organic 6-piece lip balm gift set is infused with 100% pure argan oil, a treasured ingredient which is regarded around the world for its intense anti-aging and conditioning properties. When incorporated into a lip balm, the result is an effective treatment that’s quick absorbing and highly moisturizing. Just choose between coconut almond or rose flavors (for your lip salve) and a tiny natural brown box can be shipped right away and dropped into her stocking. The holiday season is a busy one. From running to stores to buy everyone presents to holiday parties, you are constantly on the go. 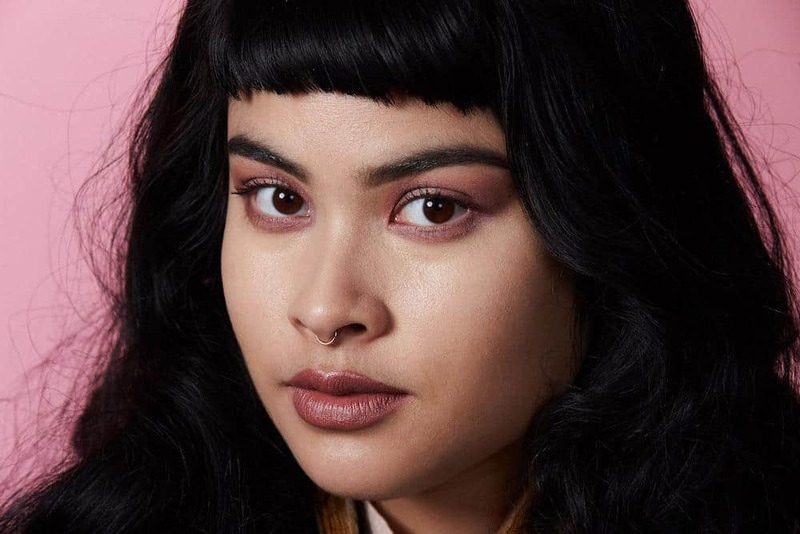 But Eva NYC Mae Magic makes it easy to style your hair- no matter if you are just making yet another run to Target or heading to the best holiday party of the season. The styling spray can be used to detangle, soften, and nourish your hair so you can style it quickly and beautifully, making you the prettiest elf in the workshop. Eva NYC Mane Magic 10 in 1 Primer is a great gift for the person in your life who is always on the go, too. It helps cut drying time so they can dry and style their hair quickly, giving them more time for everything else on their schedule. All they have to do is simply spray some Mane Magic onto their mane and their drying time will be cut significantly so you can get out the door faster. It also helps to control frizz, add shine, and set you up for a perfect day at work or school. Eva NYC Mane Magic is a must-have this holiday season for all the busy and beautiful elves in your life! You may not think to put cleaning products in a stocking but for that person that actually gets joy out of cleaning or for the child you want to give chores to, Casabella has you covered. 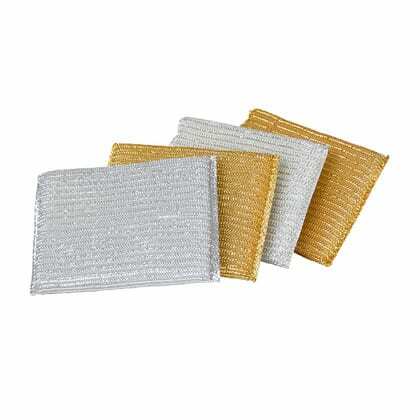 The Sparkle Scrub Sponges come in a four pack with two gold and two silver sponges that will make cleaning up a breeze. The Sparkle Scrub Sponges are exactly what you need for tough, dirty jobs. They are safe for non-stick cooking surfaces and are dishwasher safe. For trying to clean hard to reach areas, the Ring Brush by Casabella is a perfect addition to your holiday stocking. The tough scrubbing nylon bristles make cleaning grout, corners, and edges more efficient and easy. 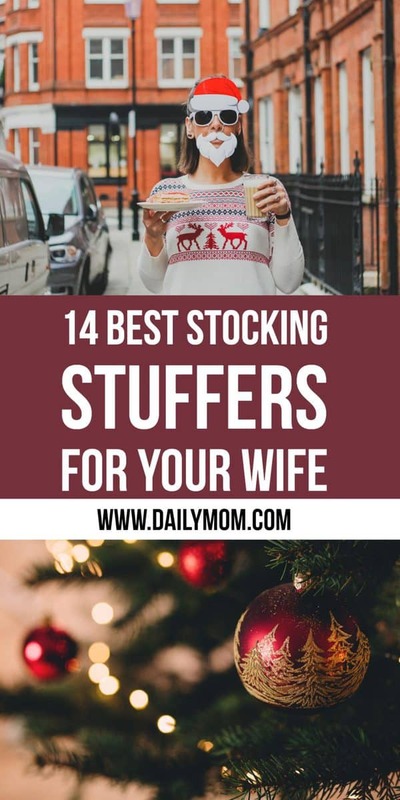 From useful to glamorous, there is a stocking stuffer on this list (or maybe a few) the lady in your life is sure to love this holiday season.